State of the Life Insurance Industry: Who decides? 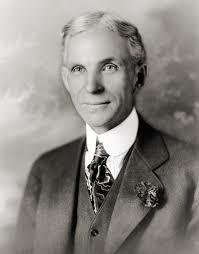 There’s a quote from Henry Ford I like. Henry understood one thing perfectly clear: without consumers paying our wages there is no employer—and ultimately no business. Every time a consumer takes a dollar out of their pocket and puts it in a cash register they are casting a vote for the companies that will profit. They are making a decision about who wins or loses. That buying power ultimately transforms or destroys industries. Successful products and companies are built on those decisions. The hard truth is that, as an industry, we haven’t made a strong enough case that life insurance is a necessity. It is a “nice to have” or a luxury for many. We haven’t connected with the consumer enough to change their vote, to change their mind. We don’t really understand them. The proof of that lies in the way consumers are making decisions with their money and collectively those decisions that shape our industry. In my opinion, we haven’t weighed the consumer vote heavily enough. We have a potpourri of votes amongst ourselves in life insurance. Actuarial, Medical, Distribution, Underwriting, New Business, Procurement — all of them casting their votes for the direction our industry takes. Outside of the company, you have even more voices in the decision: agents, brokers, reinsurance companies, IMOs, BGAs. By looking at all those votes together, we’ve designed something where no one is happy, yet nothing changes. We haven’t convinced the most important decision maker: consumers. So who will make the decision about the future of our industry? The consumer will. We live in a consumer-driven economy where expectations are accelerating so fast we don’t have time to keep debating it. The consumer’s is the only vote that counts and we have to do a better job listening to, and understanding them. In the book, All Marketers are Liars, Seth Grodin says, “The stories we tell ourselves are lies that make it far easier to live in a very complicated world.” That applies especially to a complicated industry like ours. And we have been lying to ourselves about what is happening. 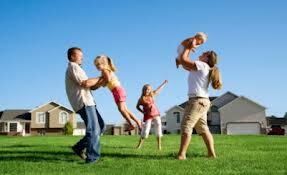 I believe by embracing the consumer we can create greater demand for life insurance. We have to. And we have to do it fast.